Living with asthma symptoms can be challenging. 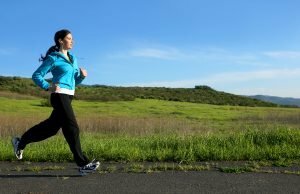 This common chronic condition – which affects about 25 million people in the United States alone, many of them children – triggers inflammation in the lung’s airways that can make it difficult to breathe. It can also cause uncomfortable bouts of coughing and wheezing. There is no known cure for asthma, but with the right information and a little help from your doctor, you can learn where to turn for appropriate asthma attack treatment and how to effectively manage your symptoms. When should I go to the ER for asthma symptoms? If you are experiencing any of the above asthma attack symptoms, call 911 or visit the emergency room. Even if you are unsure about the severity of your asthma attack, it’s best to go to the ER if you feel your symptoms may be life-threatening. Can an urgent care doctor treat asthma? People with mild asthma symptoms, such as moderate coughing or wheezing, can generally find the relief they need by visiting an urgent care center. In fact, an urgent care center is a more affordable and fast alternative to the emergency room in non-life-threatening scenarios. STAT MED Urgent Care’s locations in Concord, Lafayette, and nearby communities provide physician-led asthma treatment to adults and children throughout San Francisco’s East Bay. We know that asthma symptoms don’t adhere to regular business hours – that’s why we are open 365 days a year and don’t require appointments. If you or your child needs prompt medical care for bothersome allergy symptoms, our board-certified doctors with emergency medicine experience are here to help. In addition to immediate medical care for asthma, STAT MED Urgent Care also provides primary care services to meet the ongoing medical needs of asthma patients. To learn how we can help you or your child effectively manage asthma symptoms, contact us today or simply stop by when it’s best for your busy schedule. 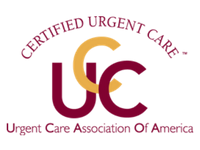 STAT MED Urgent Care is proud to supply first-class medical care to families in Concord, Lafayette, and surrounding communities.